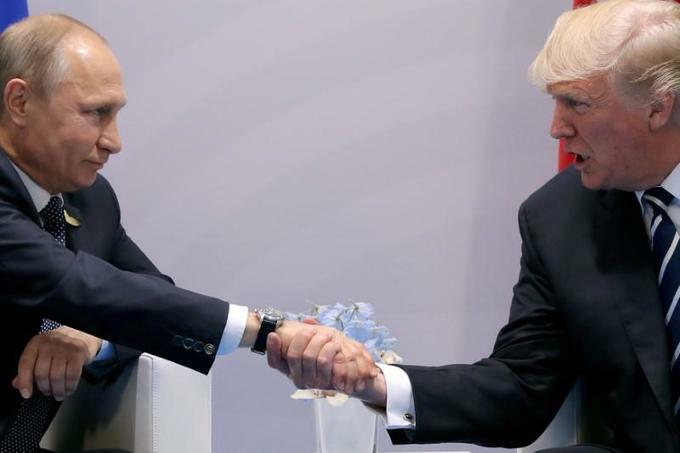 Prospects for a meeting between Russian President Vladimir Putin and U.S. counterpart Donald Trump at the Asia-Pacific Economic Cooperation summit in Vietnam this week were unclear after contradictory statements from the two sides. Putin and Trump, who had their first face-to-face meeting in July to discuss allegations of Russian meddling in the 2016 U.S. election, are both planning to attend this week's summit in the Vietnamese city of Danang. Kremlin aide Yuri Ushakov told Russian news agencies on Thursday that such a meeting would happen on Friday. "Right now the time of the meeting is being agreed. It will be on the tenth (of November)," Ushakov told agencies. But U.S. Secretary of State Rex Tillerson, on a visit to Beijing with Trump, said no decision on whether Trump and Putin would have formal talks had yet been taken. Tillerson also questioned whether the two men would have enough to talk about to justify such a meeting. “There’s never been an agreement, certainly not to a full bilat(eral),” said Tillerson, who said it would not be unusual however if the two men had a spontaneous "pull-aside meeting" chat if they bumped into each other. “The question is whether we’ve got sufficient substance (for a more formal meeting) and we’re working with the Russians as you know on a number of difficult areas," said Tillerson.